At Monthly Council Meeting, Debates over "Conflicts of Interest"
Fine Gael Councillor Naoise Ó Muiri stepped out of the council chamber in City Hall about an hour into Monday’s monthly meeting. He had a conflict of interest, he said. 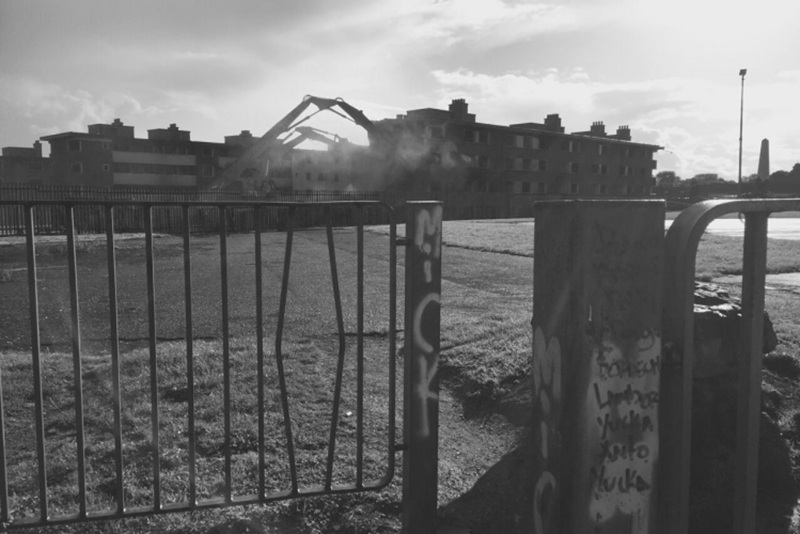 He is on the board of the National Maternity Hospital (NMH), and the council were about to discuss a planning report about the proposed development. “So I’m going to leave the meeting for this debate,” he said. That raised questions for other members in the chamber, though – and set off a debate that continued throughout the evening as to when councillors should exit the chamber. After all, councillors who were NMH board members might have been tempted to vote in the interest of the hospital, rather than in the interest of the city, if there were a conflict between the two. But councillors sit on tens of boards across the city – from drugs task forces to cultural centres – and some objected to the idea that they should step out all the time because of that. In the case of the National Maternity Hospital, three council members besides Ó Muiri also sit on the board: Lord Mayor Brendan Carr, Green Party Councillor Claire Byrne, and Sinn Féin’s Micháel Mac Donncha. While Ó Muiri’s position on the board is unrelated to his role as a councillor, the three others are on the board because they are on Dublin City Council, and that makes it different, said Labour’s Dermot Lacey. Labour Councillor Rebecca Moynihan said that those on boards were sometimes the best placed to reflect on what was being discussed, so there was no need to step out. Other councillors, though, were wary of the possible blowback if councillors who were also board members stayed to debate and vote. “I think it would be safer if the members of the board left the room, and that includes yourself,” independent Councillor Paddy Bourke said to Lord Mayor Brendan Carr. Terence O’Keeffe, Dublin City Council’s law agent, said that it’s up to the members themselves to decide whether they think they have a conflict of interest for whatever reason. “The situation is if you are a director of a company when you’re dealing with the business of that company, you are not dealing with city council business or in your capacity as a city councillor, you are there for the benefit of that company (…) and you have to put the interests of that company first,” he said. He said that if a councillor declares a conflict of interest, then they have to leave the chamber for any debate and not vote on it. If somebody felt that the council’s decision was made incorrectly, they might take a judicial review or complain to the Standards in Public Office Commission (SIPO), said O’Keeffe. In the end, Mac Donncha, Byrne and Carr all declared that they had no conflict, and they moved on to the discussion. 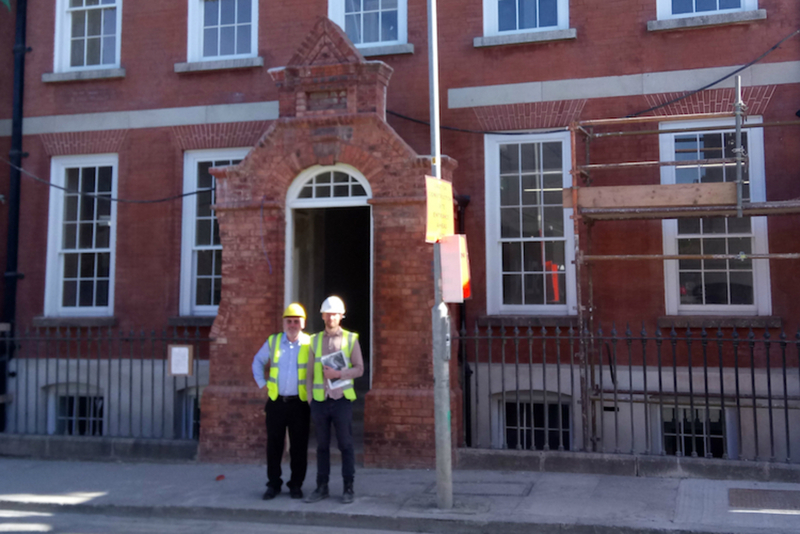 Councillors added two comments to the report, which focused whether the council thinks the proposed National Maternity Hospital at St Vincent’s complies with planning policy and the development plan. 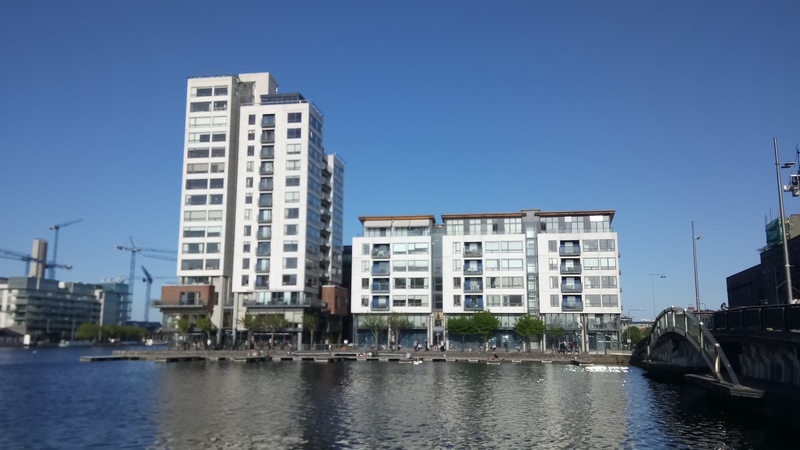 Green Party Councillor Ciarán Cuffe put forward a proposal to add a note that the council recommends the development be under the control of the state, and that An Bord Pleanála consider adding that as a planning condition. “The reason for that would be to ensure the provision of all medical services that reflect the designation of the facility as the National Maternity Hospital,” he said. Some councillors also raised questions about car-park fees. Independent Councillor Teresa Keegan suggested an amendment that said: “That Dublin City Council recommends that all parking at the hospital be free to persons with disability passes.” Both of these passed. Later in the meeting, councillors had to break to discuss whether there was any substance to a complaint alleging another round of conflicts of interest. 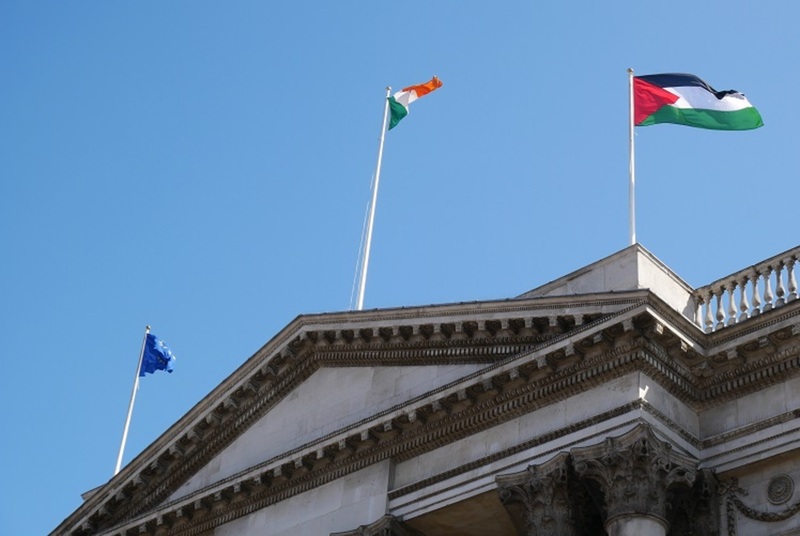 This time it was about whether three councillors should have recused themselves from a vote at the protocol committee on whether to fly the Palestinian flag from the top of City Hall. The complaint came from Michael Fitzgerald, a journalist who presents the radio show Council Matters on Dublin City FM, and who was watching from the press gallery on Monday night. “I said the process was unsound,” he said on Tuesday. That’s because, as he saw it, three councillors had conflicts of interest. People Before Profit’s John Lyons and Sinn Féin’s Micháel Mac Donncha are supporters or members of the Ireland Palestine Solidarity Campaign. Green Party Councillor Patrick Costello had worked as a consultant for Sadaka Ireland Palestine Solidarity Alliance. At the break-out meeting, though, the majority of councillors decided there wasn’t a conflict. They huddled in a room off the main council chamber. Labour’s Moynihan said she doesn’t think being a member of a lobby group like that is a conflict of interest. After all, she supports abortion-rights groups, but that doesn’t mean she should step out for any related motions, she said. On Tuesday, Fitzgerald said that he had approached a number of parties about the issue of the flag flying. He had wanted a commitment in an amendment motion to recognising peaceful solutions, he said. Was it a conflict for a journalist to get involved in the council’s business like that? “Just because we’re journalists, we don’t stop being humans,” said Fitzgerald. He didn’t cover it on the radio or post about it on Facebook, he said. It was late in the evening by the time councillors got to voting on the motion to fly the flag over City Hall. People Before Profit’s John Lyons, who had put forward the motion, said it would be a symbolic show of support for Palestinians. “This is a small gesture for solidarity,” he said. Fine Gael Councillor Anne Feeney put forward an amendment to the motion that suggested that the Israeli flag should fly, too. She said she supports a two-state solution for Palestine and Israel, and questioned whether flying one flag might present a problem for peacekeeping troops in the Golan Heights and elsewhere in the region, if they look partisan. “I fully recognise that the Palestinian people have suffered for far too long and human rights have been disgracefully flaunted by Israel, but also too by many other nations in the region,” she said. Some councillors disagreed with the idea of flying either flag. “In my way of thinking, the only flags that should be flying over this building are the flags of Ireland and the flags of the EU,” said independent Councillor Ruairi McGinley. So he didn’t support the motion, or the amendment. Others, such as Fianna Fáil’s Frank Kennedy and Deirdre Heney, said they agreed with him. But Sinn Féin councillors, People Before Profit councillors, and others pointed to the difference in power between Israel and Palestine. “It’s not a conflict of equals,” said the Workers’ Party’s Éilis Ryan. The amendment to fly both the Israeli and Palestinian flags was defeated, with 43 votes against to 11 for, with 7 abstentions. Councillors voted to fly the Palestinian flag by 42 votes for, to 11 against, with 7 abstentions. 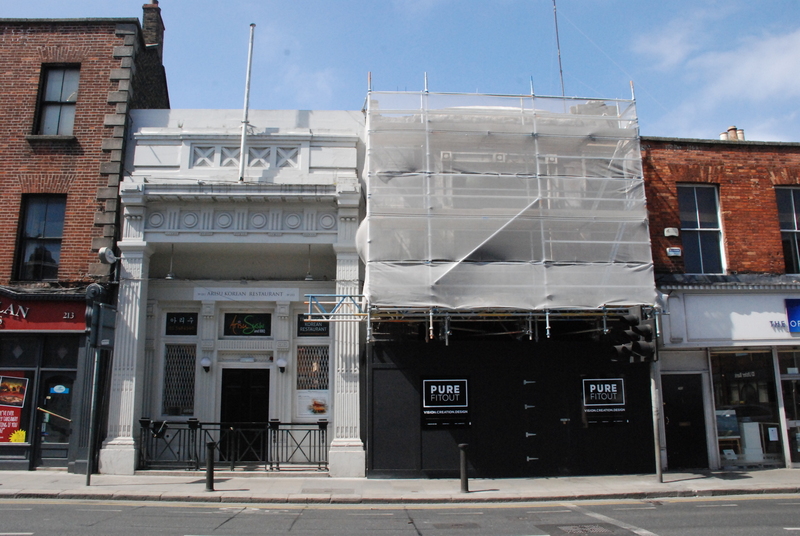 What's Happening With the Stella Cinema in Rathmines?